You can use NFC to share content on Samsung Galaxy phones by quickly putting two device’s back to back. The transfer is fast, easy, and convenient. 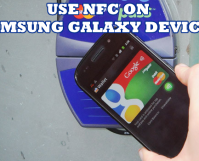 This article will teach you how to enable your Samsung Galaxy phone’s NFC and Android Beam to easily share files and contents between Samsung devices.